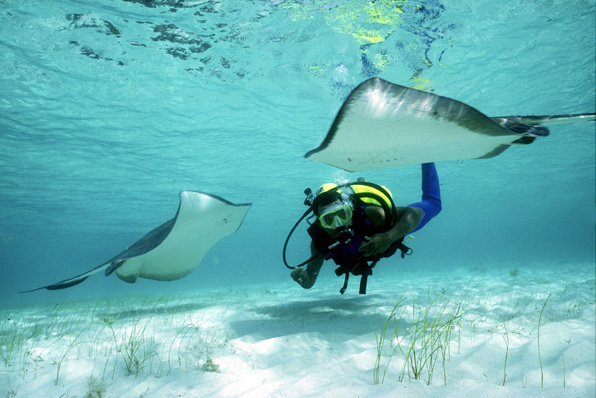 The calm waters of the Turks and Caicos Islands are protected by an extensive reef system, providing one of the world’s best diving experiences as close as 15 minutes from shore, with spectacular wall diving at multiple sites only an hour offshore. Divers marvel as the flat warm turquoise waters blend into the deep blue where the wall drops from 30 feet into the abyss of the Atlantic. Beautiful coral formations are home to abundant sea life including turtles, spotted eagle rays, grouper, snapper, brightly-coloured grunts, horse-eyed jacks and reef and nurse sharks. Divers can expect to see a variety of sponges including elephant ear, gold and purple tube as well as many large fish, eels and stingrays. 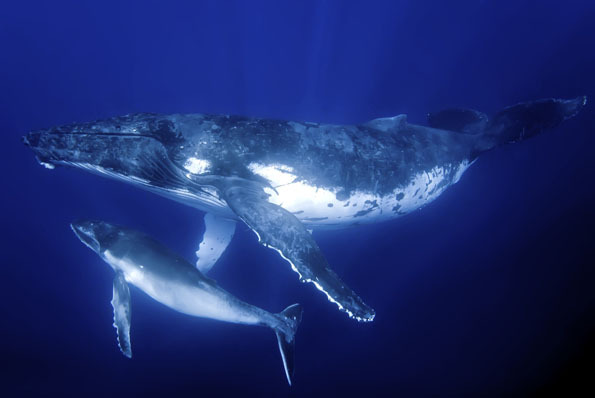 Bottlenose dolphins play in the wake of boats and humpback whales are frequently encountered in January through March migrating to mate and calf in nearby protected habitats. Divers traveling to enjoy the world class reefs of Turks and Caicos are not required to sleep in concrete bunkers with all the charm of a Walmart parking lot. Instead, they can relax in casual Caribbean elegance at Windhaven luxury beach villas right in the middle of Long Bay Beach – selected by Conde Nast as one of the top ten beaches in the world. Lulled to sleep by gentle ocean breezes, you can awaken to take one of our kayaks or SUP boards from your doorstep to dozens of coral heads teeming with fish and lobster in the shallow warm water of Long Bay. 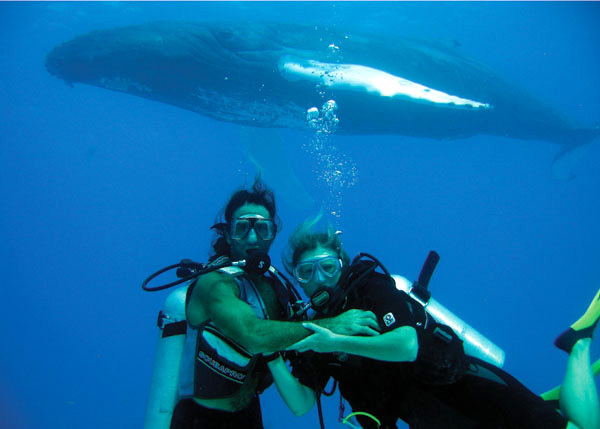 If friends or family members are not divers, scuba instruction can be readily arranged on-island. Alternatively, excellent snorkeling can be found close to shore at several locations or with short boat trips to more remote spots. 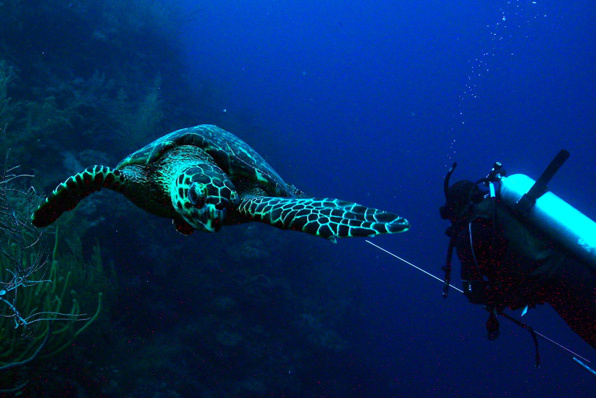 Others may enjoy the intermediate step of SNUBA (providing surface supplied air), making underwater reef exploration possible after only a 15 minute orientation. In addition, at Windhaven luxury beach villas, even divers enjoy fishing, golf, SUP boards, kite-boarding, kayaks and of course relaxing by the beach or pool. Windhaven offers divers the ideal luxury villa rental right on the beach. Choose your own one, two or four bedroom villa or bring friends and family and make it your own private 8 bedroom beachfront resort. Every bedroom has an ensuite bathroom with attached outdoor shower as well as gear boxes and equipment racks on private patios. Amenities include flat screen TVs, wireless internet access everywhere on the property, washers, dryers, safes, full kitchens and gas BBQs. All bedrooms are air conditioned and the pool is chemical free with an adjacent Tiki Hut and hammocks to rest after a day of diving adventures. Windhaven is an easy 5 to 10 minute drive to the main dock departures for diving, making a relaxing start and finish to your day. Enjoy a leisurely meal in your own villa or choose one of the many excellent restaurants – again, just a short drive from your secure gated beachfront villas by the sea.